Samsung SDS, the IT solutions affiliate of Samsung Group, is expanding its mobile security solution business into the European market, company officials said on Wednesday. The tech firm recently partnered with the U.K. banking and financial services company Barclays to back the development of digital banking services together with Samsung Electronics. Under the partnership, Samsung Electronics is set to provide its mobile security platform KNOX while Samsung SDS plans to offer its mobile authentication solution FIDO for the U.K. banking firm. Samsung SDS said it also signed a deal with German security solutions provider Giesecke & Devrient to jointly develop mobile authentication solution. 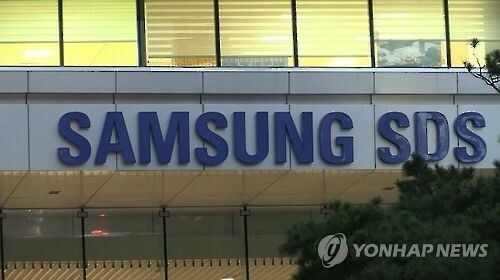 Under the deal, Samsung SDS is set to provide its biometric authentication solution for G&D’s financial clients with the aim of improving its security policy from the conventional way of entering a password to much innovative biometric solutions, the company said. “We will expand Samsung SDS‘s solution business in the mobile security market through the close partnerships with European financial security and banking companies such as Barclays and G&D,” said Hong Won-pyo, chief of Samsung SDS’ solution business division. Apart from the deals with the two companies, Samsung SDS said it is also set to provide its enterprise mobility management and mobile authentication solution FIDO for the U.K. mobile carrier -- without disclosing the firm’s name. Samsung SDS will then be provided with cloud environment from the telecom carrier in return. Samsung SDS said the partnership would help the clients of the U.K. mobile carrier reap the benefits of advanced mobile security, convenient system connection and cost saving. The partnerships with the three European firms are a series of the latest efforts by Samsung SDS to boost its security businesses. Last month, the company invested in the U.K. cyber security startup Darktrace and Korean blockchain venture Blocko to strengthen its cyber security business. Darktrace is a tech startup, which has technologies to learn and detect information technology infrastructure system by linking its machine learning system into security. The U.K. startup recently raised new growth equity financing worth $65 million through the U.S. equity fund KRR and Samsung SDS joined the financing through Samsung Venture Investment. Blocko is a Korean startup, which provides blockchain-based development platform for Korean firms to prevent hackers from forging personal transactions by dispersedly saving them in various computers.